We love infographics, and this one makes a very compelling case for why tourism brands need to do more than just focus on Facebook. Twitter does a spectacular job of driving two-way engagement with prospective visitors and can be a great tool for creating engaging conversations around the experiences of the destination. If there’s one thing that today’s consumers demand from brands is that they want less selling and promoting and lots more engagement, and that includes tourism and destination brands. Marketing has become more consumer driven making brand-inspired consumer interactions even more critical to how destinations develop high impact visibility programs. 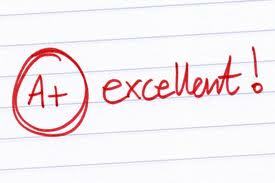 Some destinations get it right, and those are the same destinations that have well positioned, competitive brands. 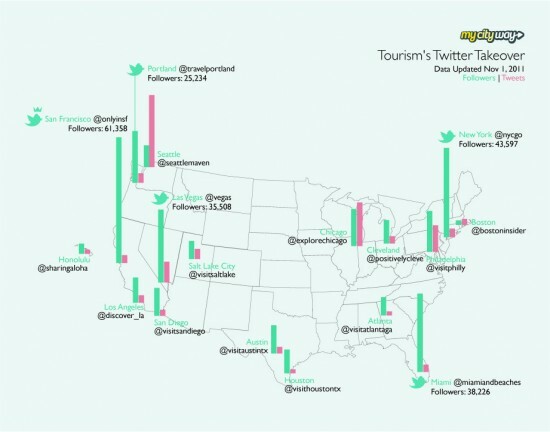 According to the infographic below, the top city tourism agencies across the country on Twitter based on the number of followers and tweets are San Francisco Travel, nycgo.com, Vegas, Miami, and Portland. These destination brands do a great job of creating engaging content, building a strong community, and interacting with followers. The interaction is probably the biggest driver to building a strong online community and making a destination top of mind. Where does your tourism brand stand in the online space? If you need more convincing, you may also want to take a look at The Impact of Mobile Usage and Social Behavior in Travel.